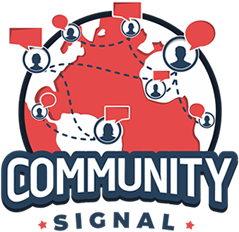 00:04: Welcome to Community Signal, the podcast for online community professionals, sponsored by Emoderation: Smart Social globally. Here’s your host, Emoderation. 00:20 Patrick O’Keefe: Hello, and thank you for tuning in to Community Signal. On this program, more often than not, I’ll talk to community professionals, but other times I wanna bring in people who are experts in other fields and apply their knowledge directly to our work, today’s episode is an example of this. The concept of copyright and the laws that surround it can be rather intimidating, but there is no doubt that an understanding of these laws empowers a community professional. Copyright impacts your community in a very real way, both good and bad. Copyright can protect you and your members, but if you don’t respect the rights of others, you could run into trouble. 00:56 Patrick O’Keefe: I pride myself on being well-versed on copyright and one of the big reasons for that is today’s guest, Jonathan Bailey. 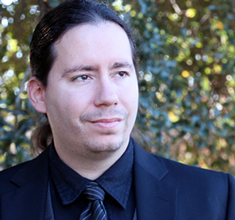 Jonathan is the web master and author of Plagiarism Today and works as a copyright and plagiarism consultant at CopyByte, C-O-P-Y B-Y-T-E. Though not an attorney, he has resolved hundreds of cases of plagiarism involving his work and has helped countless others protect their work and develop strategies for protecting their content and avoiding infringement. This isn’t the first time Jonathan and I have been on a podcast together. He was my guest on the last episode of my community management podcast from 10 years ago, The Community Admin Show. 01:32 Patrick O’Keefe: He’s actually the first person to have appeared on both shows now. More importantly, Jonathan and I co-hosted the Copyright 2.0 Show for almost six years, during which time we did 259 episodes, though we haven’t done a podcast together since our last one, which was released on September 12, 2014. Jonathan, welcome to the program. 01:50 Jonathan Bailey: Thank you. Thank you. This is deja vu all over again. A very good kind of deja vu. 01:54 Patrick O’Keefe: Yeah, it’s great to be back together. 01:56 Jonathan Bailey: It’s good to be talking. 01:57 Patrick O’Keefe: Jonathan works in the United States and so we’ll primarily be focusing on US-related issues on today’s show. That said, some of the things we talk about might apply to other regions as well and we might discuss other countries as we go along. First, Jonathan, can you talk a little bit about your experience with online communities individually and in your professional capacity. 02:17 Jonathan Bailey: Individually, my first experience in online community is going all the way back to the AOL chat rooms and Usenet newsgroups, before the big WWW was a household thing. So yeah, I guess back in those days the internet was a community, and that was pretty much all it was, was a bunch of communities loosely tied together. I also, for a time, for about 10 years, ran a Gothic literature website and I ran a forum connected to it. And the forum wasn’t gang-busters or anything, but it was very, very active and pretty successful and it did pretty well for itself during its time. And I’ve also been involved in lots of communities on everything from literature to obviously copyright and other intellectual property issues, and just wherever I can sort of get involved and feel like I can help out a little bit. 03:02 Patrick O’Keefe: And as a consultant, have you done any work with any online communities? 03:05 Jonathan Bailey: Yes, I actually serve as a copyright agent for several communities and I’m constantly advising communities on how to both protect their user’s interests and also to avoid making any copyright blunders that’d be very costly to them. 03:19 Patrick O’Keefe: Let’s start at the very beginning, who owns the content posted on an online community? 03:23 Jonathan Bailey: Typically, the person who owns the content posted on the community is the person who posted it. Copyright almost always vests with the creator of the content. Now, some communities, and I don’t particularly find this to be ethical, will, using terms of service agreements and so forth, try to lay claim to that copyright, but that’s, [A], usually not successful, and, [B], it’s considered pretty underhanded. So 99.99 times out of whatever, I forgot how many nines I just used, [chuckle] it’s going to be the people who put the content up there. 03:53 Patrick O’Keefe: Right, and so, you can technically try to copyright member contributions, right? 04:00 Patrick O’Keefe: You can write into your agreement, you can get them to agree to it, you can use, not browse-wrap because we know that doesn’t work, but [chuckle] you can use click-wrap, which means you have them click something that indicates agreement. Not just say, “By viewing this website you agree to some terms,” because, again, in courts that hasn’t been held up. It doesn’t work. 04:18 Jonathan Bailey: And it goes a little bit beyond even that, honestly, because there was a case… The site Ripoff Report, I don’t know how familiar you are with them. 04:23 Patrick O’Keefe: Yep, I am. 04:23 Jonathan Bailey: They have a clause that lays claim to the copyright of everything posted to it, and what they did was in addition to putting into the terms of service that you had to agree to, they had a big red, “By agreeing to this, you are waiving your copyright or giving it to us,” warning that you had to manually click through every time you posted. And that was considered enough actual notice in one case to be considered a complete copyright transfer, so you’ve got to really be aggressive about it. 04:56 Patrick O’Keefe: Like you said, underhanded is one way to describe it. A lot of people who would just rubber-stamp agreements because, let’s face it, most user agreements, most end user license agreements, [chuckle] whatever it’s for, software, communities, you name it, we have a tough enough time getting people to read our community social norms and codes of conduct, let alone read the terms of service. 05:15 Jonathan Bailey: It’s hard enough to get to read just six little rules in the sidebar of a community, let alone a 2,000 word terms of service. 05:23 Patrick O’Keefe: There’s a community in the community industry, CMX Hub, and they have a Facebook group where they have the guidelines on the sidebar and they’re not that hard, but it amazes me how many people that are supposedly community professionals just don’t pay attention to it. Just don’t even respect it. It’s like this is our job, you can’t say “Don’t read the guidelines,” or, “I don’t read the guidelines,” if it’s your job. This is what we do. 06:17 Jonathan Bailey: I remember them. I remember them, yeah. 06:18 Patrick O’Keefe: You remember ’cause you brought it up to me, where they were taking forum posts from one forum and then publishing them on a totally different forum under a different name without telling anybody, and they were putting it under different user names even. And so, someone would say, “That’s my content, that’s my story about my life. What’s it doing over there?” And the company was behind it. And another example is how Flickr handled I think the Creative Commons issue related to selling photos. Like, legally, yes, you could do that, but when you think about the community and the people you serve, how will they take that? 06:51 Patrick O’Keefe: And in Flickr’s case, when you have this hyper creative community, these photographers who… Their work is who they are, their work is tied to them as a person, and when you take that and they see it in some store where people can buy it, it’s not gonna be a good thing. I think it’s kinda cutting your nose off to spite your face. You’re not respecting the community, the reason you exist. 07:10 Jonathan Bailey: Yeah, I agree. And with the Flickr case, Flickr failed to understand the reasons people were licensing their photos under the Creative Commons licenses. The intent wasn’t so that Flickr could sell them, it was so that people can make other creative works. It was so that people could expand and build upon them, and that was something that was completely missed. And one key point as we get to the end of this area is that when you do establish your terms of service, you do wanna make sure you have a license that’s broad enough to do everything you need to do with that content. 07:40 Jonathan Bailey: You need the license to display, to modify, and so on and so forth, to publish and all that. You need a pretty broad license with a community because you might have to edit a work. If you have to edit a post for some reason to remove something, do you have the license to create a derivative work, which is part of that? So you need to think about what you need, and that’s why a lot of terms of services have these really broad licenses, they just don’t claim full copyright control. 08:05 Patrick O’Keefe: They’re non-exclusive licenses. 08:06 Jonathan Bailey: Exactly. They’re non-exclusive licenses, meaning the user is free to go somewhere else and republish the same content on other sites. 08:13 Patrick O’Keefe: Right. They own their content. And that’s one of the reasons why, not to go too far off here, but I advocate for community software platforms to allow people to download their posts. 08:21 Patrick O’Keefe: Even if we can’t delete their posts and allow them to mass delete them in some cases because it would impact other peoples’ contributions, at the very least we should allow them to take them. And actually, some software options have started to do this, Discourse is one of them, and I definitely applaud those efforts because I’ve been pushing for that for a while. 08:36 Jonathan Bailey: Yes. That’s great to hear. 08:38 Patrick O’Keefe: I would like to pause here to recognize our excellent sponsor: Emoderation. So the Digital Millennium Copyright Act, the DMCA, is the type of thing that you mainly hear about when something goes wrong, if you’re just one of the regular non-copyright experts. 09:23 Patrick O’Keefe: But it’s actually an important law that helps prevent online communities, more specifically their owners and publishers, from being held liable for copyright infringement committed by community members and those contributing user-generated content in any form: Online comments, video uploads, text-based forum posts, whatever. Now, Jonathan, I’m gonna ask you to briefly explain the DMCA. 09:45 Jonathan Bailey: Oh God. [chuckle] How long do we have? How much time’s left? No, basically what the DMCA does is it holds… They call them Online Service Providers, OSPs, people who host content uploaded by third parties: Users. And what the DMCA says is, “Okay, we understand that you cannot control what your users upload, so we’re going to limit your liability when they inevitably, for some people, upload copyright-infringing material. In exchange for that limited liability, you have to meet certain criteria in order to be protected when it does happen.” And the basic protection is this: You have to, [A], designate an agent to receive notices of copyright infringement. You have to designate an agent both on your site and on the copyright office’s site, and that second step is a big part that people keep missing. Second, you have to expeditiously, the law loves that word ‘expeditiously’, no one quite knows what it means, but it loves using it, remove material when you are notified of an infringement with a proper DMCA notice, and there’s a whole bunch of criteria for what is a DMCA notice. And the third thing is you have to have a policy to terminate or suspend repeat infringers, a repeat infringer policy where if someone is constantly posting copyright infringing material and you’re seeing notice after notice after notice regarding them, that you terminate their account. 11:04 Patrick O’Keefe: As you touched on, the safe harbor provided by the DMCA is not automatic. It doesn’t just simply exist out of thin air. You touched on the qualifications for it, let’s go through those a little bit. So the first, and possibly the one that I think a lot of people haven’t satisfied, is properly designating a DMCA agent. Walk me through that one. 11:22 Jonathan Bailey: That’s correct. The law states that you have to designate a person to receive notices of copyright infringement, a DMCA agent, and this agent has to be both registered on your site, meaning you have to have all the contact information on your site. Most places put it in the terms of services, or they’ll have a contact page, and some will just have a special copyright page solely for dealing with them. And you also have to put it on the US Copyright office website, and this is where there’s a little bit of a financial expense. If you’re registering just to one site or just your company, your site, whatever, it’s $105. But most people end up registering all of their sites in one registration, which costs $105 plus $30 for each 10 additional registrations. So if you have eight things you want to register, it’s $135. If you have two things you want to register, it’s $135; and so on. 12:14 Jonathan Bailey: It’s a very odd way of charging for this, but it’s what the US copyright office opted for, and basically what will happen is you will mail this form in with your payment, they will receive it, and then they will just basically scan it and put it on the US copyright office website at copyright.gov, and people like me who need to file DMCA notices can turn to that database and contact you, though we’re more likely to look at your site because it’s a lot faster and much more likely to be up-to-date. But then, separate point. 12:49 Patrick O’Keefe: And be listed on their website. No matter how popular or well used that website is, you still need to be there to actually qualify for the safe harbor. And if you look on their site, you can find the list of DMCA agents right on their website, just Google it. 13:01 Jonathan Bailey: I believe there’s like 80,000 currently in there. 13:03 Patrick O’Keefe: And if you search for just an easy community thing, because communities take many forms beyond forums, but it’s very easy to search forums on there and you’ll see different forms. I even saw one, there is well-known community called Physics Forums, run by Greg Bernhard, or used to be, I think it still is. He’s another person I had on The Community Admin Show way back when, but he registered under both physicsforums.com and Physics Forums, that’s an alternate name. So he paid the dollars to register as a separate name just to make it that much easier for people of find them, I guess, and so there will be no loophole like, “We’re there,” because you have to be there under the name of the website, you can’t be a parent company. 13:35 Jonathan Bailey: It came out recently, there was a ruling where a site was registered underneath their parent company but the actual site name itself was nowhere to be found on the database, and they ruled that it did not comply with the law and they did not have safe harbor protection. So yeah, you need to be there. Just put yourself in my shoes, someone trying to file the notice, what would I look for? Think of it that way. 13:55 Patrick O’Keefe: Yeah. I own KarateForums.com and I call myself the iFroggy Network, but if I register for, and I want to have safe harbor, for KarateForums.com, I need I need to register KarateForums.com, not just iFroggy Network because then that website will not qualify for safe harbor. 14:10 Jonathan Bailey: And you… What you’d probably do is use iFroggy Network as your main company name, and then Karate Forums and all the other forums you as alternate names. 14:19 Patrick O’Keefe: Right. So the other two things real quick are expeditiously working to remove content name, and as you said, that’s pretty vague. Basically it’s the idea that you receive a notice, you take action, and I think most people would agree that if you take action within let’s say two to three business days, you’re fine. You get some responses, probably, that are months old, I think if you’re happy… You’re happy if you get one within a week most of the time, probably. 14:39 Jonathan Bailey: Sometimes it feels that way. Yeah, most hosting providers, most major hosting providers, respond within 48 to 72 hours, some take a week, and some can take two weeks. But yeah, typically after about two weeks I consider noncompliant. But that’s not a legal thing, that’s just my personal system thing. 14:55 Patrick O’Keefe: When you’re talking about a repeat infringer policy, in other words terminating the account of someone who has infringed copyrights over and over again and you’ve received reports over and over again, that’s also kind of vague, it allows for some creative thought process. A lot of people opt for a three-strike system, but it’s the general idea that you do block-ban people who have been reported multiple times, and you can decide kind of when that number is but just that you do it at all is the point. 15:29 Jonathan Bailey: Whenever we get annoyed by the notices. You do have to have one… One of the reasons Grooveshark was shuttered was because it didn’t have a repeat infringer policy and had a completely lacklustre repeat infringer policy, it was a joke. So you have to show that you are actually working to ban repeat infringers, but how you do that really is up to you, and the law… Actually, in the Grooveshark opinion, they said that the law gives a wide birth for you to determine the best way to do that. 15:55 Patrick O’Keefe: Which I like, as someone who’s responsible, [chuckle] but obviously we know people who abuse it. 16:00 Jonathan Bailey: What’s the minimum I can do to comply? 16:04 Patrick O’Keefe: Yeah. In other words, how many page views can I get to this thread before I delete this person? 16:07 Jonathan Bailey: Yeah, and that’s very true. 16:08 Patrick O’Keefe: And the DMCA has this safe harbor, but it isn’t a license to be negligent. You can still get in trouble if you simply turn a blind eye to known infringement, or especially if you commit the infringement yourself as a member of the community. Now, I wanna ask you, what are some reasonable steps that we should take to prevent our community members from violating copyright on our communities? 16:29 Jonathan Bailey: One of the key things is, first off, as you point, and this deserves emphasis, is don’t infringe yourself obviously. The DMCA protects you against third parties. Whatever you do, you are still responsible for, that’s completely irrelevant to the DMCA. But as far as what community admins should be doing, they should be looking at the content that’s getting posted, and if something is suspicious, start checking it out. Even if you have a lot of posts going up, moderators and so forth should be aware that maybe a full article being copy and pasted from a news site should be truncated into a paragraph and a link. 17:50 Patrick O’Keefe: Right. Or you give people points or money for uploading copyrighted songs. 17:53 Jonathan Bailey: Exactly. If you’re doing something to encourage copyright infringement, you can be held liable even if you do technically comply with DMCA notices. So you have to be careful of those things, and that’s the way I think the law does reward you for being more proactive is it eliminates those threats completely, ’cause the DMCA mostly is about you not being held liable for infringements you were completely unaware of, or had no way you could be aware of. 18:17 Patrick O’Keefe: And you mentioned something I wanna repeat real quick is, there’s no consequence for taking action, right? And I was on a panel at South by Southwest a few years ago with Jonathan and a couple of attorneys, and I [chuckle] was like, “Okay, I’m gonna say something, and that something is that I do take action on my content, on the community. If we see something, we take action,” and I was happy that everyone on the panel was like, “Yeah, that’s a good thing to do.” And this really ties into not only the DMCA, but also to Section 230 of the Communications Decency Act, where it basically permits us to moderate our communities without saying that if something is up there, that means I’m approving it, I’m liable for that speech, whatever that may be, just because I moderate. This allows us to really take responsibility without fear of repercussion because of some vague notion of endorsement of what’s on the community. 19:05 Jonathan Bailey: Or some vague notion of control that you don’t really have. Something like an editor-ship relationship, where you are directly involved with the creation of the content, that doesn’t happen with communities in my experience. 19:16 Patrick O’Keefe: No, it doesn’t. 19:18 Jonathan Bailey: You… To establish an editor relationship, you would actually have to be an editor, and that would be completely different, but I don’t think that’s going to happen to a community that is proactive. 19:27 Patrick O’Keefe: We talked a little bit about text, but I find text is one of the easier elements for my communities to deal with, copyright-wise. When we see someone that doesn’t write long posts suddenly become Shakespeare, [chuckle] we know something’s up, right? We can enter one sentence from that post into Google, find where it is, and then make them either quote it and include a link, a small quote and include a link, or just include the link. But pictures, I find to be a trickier area. People embed them and use them in numerous ways; they use them as avatars, they use them as signature images, Facebook cover images on Facebook. They might put them in a post to illustrate their point or discuss the image. Where do we draw the line there? 20:05 Jonathan Bailey: That is a very, very difficult question and it’s almost impossible, unfortunately, to answer with images because with text we have an inherent understanding of what you can and cannot do, but images are very, very different. The one thing I would say is, with images, the smaller the image, the more thumbnail size it is, the better it is, and the more transformative the use. For example, I don’t think taking a still from the recent Deadpool movie, making like a GIF from it and making it postage stamp size in a post raises any copyright issues because I’m pretty sure that would be considered a fair use, it’s only a few seconds of a clip and it’s only a few seconds of a full movie and it’s no audio. It’s basically a-okay. But that being said, posting high-resolution images from a photographer on a forum or elsewhere creates a problem, and to me, the difference for images and where I would sort of draw the line for a community is does this image mean that the people viewing the forum have no reason to go seek out the original image? Is there no reason for them to go look at this photographer’s website? Is there no reason for them to go look at their Instagram or Pinterest or whatever? If there’s no reason for that, then it’s probably a misuse of the image. 21:18 Jonathan Bailey: It’s kind of a vague line, I admit, but that’s kind of the nature of images, and a lot of photographers have expressed frustration with this, but social media has made sharing of images, including images that you don’t own, so ubiquitous that photographers have largely given up the ghost on smaller images being used in non-commercial manners and non-commercial ways. 21:39 Patrick O’Keefe: And I think that’s a practical guideline. 21:41 Jonathan Bailey: Yeah, it is. It’s not a legal guideline for certain. 21:43 Patrick O’Keefe: It’s a practical one, and this is whole show isn’t legal advise certainly, this is just us kind of discussing and Jonathan is certainly qualified to speak about copyright, I’m not, I don’t call myself as an expert, I know a little bit. But it’s important to pay attention to the use, like Jonathan said, I think… Let’s say you go to a forum and they’re saying, “This is my cool pictures thread,” and all they’re doing is posting a picture from someone else, and that’s the whole thing, like just sharing pictures. That replaces the market for the pictures, [chuckle] there’s no reason to go to the photographer’s website. 22:11 Patrick O’Keefe: Now, and the same is true in my opinion for something like, let’s say someone writes articles in forums, right? And they write about, I don’t know, the Cincinnati Bengals, and they include a picture of a Bengals’ player, and it has no relevance other than the fact that it’s a Cincinnati Bengal, well, the market for that photo is for sports articles tied to that subject. So when they use the image for free, and it’s a copyrighted image, it’s not licensed for any sort of free or non-paid use, like a Creative Commons commercial license might be, it’s simply out there and the photographer took it as part of his job and this is how he makes his living, that replaces the market. 22:43 Patrick O’Keefe: So even though it seems like that’s a complimentary image or some people might try to spin that into a fair use case, it’s not because the image is the market and they don’t need the image for the article. 22:52 Jonathan Bailey: Yeah, and the other thing is a lot of times when… Like the Bengals case here, it’s also a little bit of stupidity sometimes on the forum posters, on the users, because they could probably go to the Bengals website and find press photos perfectly intended for distribution; headshots and whatever, and that raises zero copyright issue whatsoever. This is what they’re for, God speed, run with them, and it could just be ignorance on the part of the user sometimes too, and then those situations, education can go a long, long ways. 23:23 Patrick O’Keefe: Yeah, and this is kind of the curse of Google image search. 23:25 Jonathan Bailey: Yeah, it is. 23:32 Jonathan Bailey: A lot of people grew up, like we did, with those clip-art CDs and so forth, remember? Like 10,000 images on a disk or whatever. 23:39 Patrick O’Keefe: I remember those. 23:40 Jonathan Bailey: And people treat Google image search like those disks and that’s not how it’s supposed to be used, obviously. 23:45 Patrick O’Keefe: So sticking with the images for a moment, when I was putting together today’s topics, I put a call out online and received a great suggestion from Jennifer Sable Lopez, who is @jennita on Twitter, J-E-N-N-I-T-A, and she said that one of the areas of uncertainty for community pros is animated GIFs. Usually these come from copyrighted works that don’t belong to the poster, a TV show, a movie, something like that, and you don’t see a ton of the biggest companies, the Coca-Colas of the world, using animated GIFs in this fashion, but you do see a lot of smaller companies and start-ups who do so. And, of course, people post them on our communities, they become a means of communication. It seems like it’s become part of the culture for people my age and younger. What’s your take on that as far as from a copyright perspective? 24:31 Jonathan Bailey: Yeah, animated GIFs… And by the way, it’s obvious this podcast is a house divided, he says GIFs, I say GIFs. Let the war begin. But the thing about GIFs, especially of TV shows and movies, is something I hinted at earlier is that they take such a small portion of the original material, it’s a silent, few-second loop from a TV show or film, probably it’s a fair use under the law. In most cases, I would say the GIF is a fair use. Now, there were some GIFs that were not. I remember back when Ronda Rousey was not famous for losing the Holly Holm fight and getting knocked out, but when she was knocking people out, someone took her entire 17-second fight and made it a GIF. That’s not such a clear fair use. 25:14 Jonathan Bailey: But three-second loop from a movie or TV show doesn’t raise too many copyright issues, and we’re also seeing, increasingly, TV shows and movies and so forth releasing GIFs for use on social media as a means of promoting their shows. So it’s becoming a very common thing. Now, that being said, that doesn’t mean it’s for commercial use. I wouldn’t go selling CDs of GIFs. [chuckle] I wouldn’t be stupid about it, but allowing them to be included in forums probably is not a huge deal. And like I said, furthermore, if you have the DMCA protecting you, given that there’s a lot of reasons to believe these are not infringing, I think the DMCA protection here would apply and be pretty clear cut. 26:10 Patrick O’Keefe: Between that media and you, as long as it’s just a joke or you’re sharing a GIF, making light of something, it’s more likely to be okay. 26:16 Jonathan Bailey: And one of the issues you do run in to with brands is the endorsement angle of it. I’m pretty sure… I saw Deadpool, so Deadpool’s on the brain, so I’m pretty sure like Coke or Pepsi or someone has a licensing deal with Deadpool. And so, Coke does not wanna put Deadpool GIFs up so that they might be considered implying they have a licensing arrangement with the film. 26:37 Jonathan Bailey: That is a very serious issue so brands do have to be more careful about accidentally implying that they have an endorsement or a licensing deal. But other than that, I think you’re pretty much safe. 26:47 Patrick O’Keefe: How does whether or not you are hosting the content impact this discussion? For example, hosting the latest Batman movie versus allowing someone to share a YouTube embed of it. Great example, right? 27:04 Jonathan Bailey: It really… From a community standpoint, it doesn’t change it that much. There’s actually a huge debate as to how liable a site is for embedding and infringing a YouTube clip. This was actually a hot potato I jumped into personally a few years back and there’s a big debate here because one of the things that’s interesting is copyright isn’t just about the right to copy. It’s about the right to publicly perform, to distribute, etcetera. And it could be considered that hosting an embedded version of the Batman film, even if you didn’t upload it to YouTube, hosting it on your site could be seen as a public performance. It could be seen as a way of distributing the film beyond where it would have been, pushing out to a new audience. That being said, there is a difference in terms of who’s going to get DMCA’d. If you’re not the host of where the video actually is, you’re less likely to receive that DMCA notice, YouTube will probably be the one getting hit by it. But if you’re hosting the actual file, then yeah, they’ll be coming directly for you. So it has a practical implication, but it’s unclear what the legal one is. 28:07 Patrick O’Keefe: It does seem like, in general, if you’re hosting the content, you’re more likely to be held responsible. 28:11 Jonathan Bailey: Yes, it does. 28:12 Patrick O’Keefe: And I don’t want that to be, again, used as a license for laziness. Or to say like we could do whatever we want as long as it’s hosted elsewhere because, as you said, there are cases that push over into an area where you were negligent to the point where you are held legally liable and there’s some repercussion for that. So you don’t wanna be lazy. 28:28 Jonathan Bailey: And this is getting really interesting when you’re looking at piracy ’cause there’s a lot of “streaming sites” that don’t actually host the material, they just link to these scuzzy, eastern European streaming sites and you stream it from there, and so, they’re trying to do that exact step. They’re trying to limit their liability by being one step removed from the actual content, and the law seems to be shifting to basically criminalizing and penalizing that more and more just because it is being associated with such scuzzy behavior. 28:58 Patrick O’Keefe: That makes sense. What impact does your choice of community platform have on copyright-related matters? If you host your own community as opposed to, say, using something like Facebook groups. 29:09 Jonathan Bailey: It’s actually pretty interesting from a DMCA standpoint. The issue at hand is whoever hosts the content is the one that’s going to be receiving the DMCA notice. Now, if you have a forum on… If you use a closed group on Facebook, for example, or even a public group on Facebook, Facebook is gonna be where the DMCA notice is sent, not you. And that’s actually kind of unfortunate for you because that means you don’t have, as the administrator, the opportunity to resolve it. You can’t step in, take action and do what you think is best to resolve this; you just have to roll the dice and hope Facebook comes up with a good answer. 29:44 Jonathan Bailey: Now, if you’re hosting on a regular host, your Bluehost, your GoDaddy, your VPSs or whatever, wherever you’re at, you become the definite frontline of defense. They almost certainly will reach out to you first. That being said, copyright holders still have the option of going to your host. Bluehost, GoDaddy, whoever it is, they still have that option, and they may do so under certain circumstances, especially if you’re not cooperative. And those cases can be downright disastrous because I have seen entire forums and communities getting wiped out because of one or two small infringements. 30:16 Jonathan Bailey: So you want to be that frontline, and the way to do that is to make sure that your contact information, your DMCA information, is very prevalent and anyone who’s on your site spotting a copyright infringement knows they can contact you immediately. Make it clear that you’re available and that you will respond. 30:46 Jonathan Bailey: They do. 30:46 Patrick O’Keefe: Okay, yeah. I haven’t heard of it exactly, but it seems plausible that if your group has repeated infringement, your group could disappear. And in some cases people use Facebook groups as sort of the default community for whatever they do, and in that case, Facebook is very limiting as far as access to data. You don’t have access to those people, you don’t have access to that content. I’m sure there is some sort of Facebook group scraper that exists out there if you dig deep enough, maybe, sorta, but it’s not the same, and you’re not gonna get the email addresses and you don’t have the contact information for your community. So when it’s out of your hands, when you don’t have access to sorta the flow of the DMCA, because if you’re hosting your site with a web host or you’re hosting it yourself, you’re part of that flow. If the host receives a DMCA, they’re gonna forward it to you or let you know. 31:28 Jonathan Bailey: Yeah, hopefully. 31:28 Patrick O’Keefe: And regardless, you’re hosting the site and have access to the data, so you’re running backups, most likely, and have that data no matter what happens and who goes somewhere else. But if you’re investing a 100% in a platform that you don’t really have control over, this is just one more reason why it can impact you negatively. 31:46 Jonathan Bailey: And the impact is not just with the copyright if you’re on Facebook or something else, it can be any terms of service violation. It can be anything from the spam, to the abuse, to anything else can impact you the same way. 31:58 Patrick O’Keefe: Fair use might be one of the most misunderstood concepts in copyright law, it’s very relevant to online communities where discussion and criticism of copyrighted materials are prevalent. How can we get fair use right? 32:12 Jonathan Bailey: Okay. Getting fair use right is nearly impossible. 32:16 Jonathan Bailey: Mostly because even people who are well-versed in copyright have strong disagreements about fair use, what is and is not. And the problem is this: With fair use, there’s some very, very clearly, very strongly fair use uses, and there are very strong not fair use uses, and in the between, there’s this wide swathe of grey that really could go either way depending upon anything from which circuit you’re in, to what the judge and/or jury had for breakfast that morning. It can really vary. There are four factors with fair use, I’ll run ’em down super quick. The first is the purpose and character of the use, that deals with whether it’s for commentary and criticism, whether you’re using it for educational purposes, what is your goal with that use? The second is the nature of the copyrighted work, that looks primarily at whether the work is published or unpublished, just assume everything on the internet is published. So that’s sort of a minor factor these days. The third is the amount and the substantiality of the portion, taking three lines from the poem of Gilgamesh is way different than taking three lines from a haiku; you have to look at the proportion of all this, you see. [chuckle] The proportion of what you took versus what’s there. And finally, it’s the effect upon the potential market for the work. 33:29 Jonathan Bailey: And it’s the first and fourth that are really the most important, what’s your intent to your use and how is that use going to impact the creator of the work? That’s the process that most people go through when really evaluating fair use cases these days, and for community admins getting it right, it means thinking about these factors and trying to determine, within reason, what is and is not a fair use. I don’t expect community admins to get it right, there’s no way to, it’s impossible, but to be thinking about it and considering it, and, I would argue, weighing on the side of caution typically, you can do a great deal with it. 34:06 Patrick O’Keefe: So let’s talk about that caution a little bit. So text articles are an easy example, we kind of touched on it earlier. We require people to quote no more than a fifth or a sixth of an article that they share on our communities, and when I say ‘our’, I’m speaking of me, on the communities I manage, and they have to include a link to the full work. That generally, in almost all cases, works to a great standard. Of course the exception is really super long works, right? Like if you have a 300-page book, you don’t wanna quote 70 pages of it. 34:34 Jonathan Bailey: Yeah, obviously. 34:34 Patrick O’Keefe: But no one ever does that, that’s a really weird fringe case. Most of it is articles shared online, so if someone writes an article that’s… The way I do it real quick is if I need to just do a quick paragraph count because that’s really simple. So if someone has a 20… I just see, what’s that? A five, 10, 15, 20 paragraphs. Okay. So we don’t want them quoting more than four paragraphs. So okay, how many did they quote? One, two, three, four. Okay, we’re good, and they included a link. So it’s just kind of a simple kind of mental thing I look at. But it’s not an exact thing, like one-fifth or one-sixth isn’t the standard. The standard can only be set if you get sued [chuckle] and you go to court and they weigh the four factors, but as a general guideline, that works really well for text. 35:13 Jonathan Bailey: Yeah, and I’m not a big fan personally of these… Of hard right-line rules like that, but they can be very useful as a place to start, especially when you’re setting up rules for your community. And you have to understand, the community has to understand too, that even though there are these rules in place, there are times where the rule will be wrong just because of the nature of fair use. There’s no way to really set one of these in stone and make it universal. It’s like you said, the 300-page work comes into question, for example. 35:40 Jonathan Bailey: And also, even with a rule like that, even with articles, there’s a element in some copyright cases called ‘the heart of the work’ where even if a small portion is taken but is considered central to the work, it can still be non-fair use. So you have to be thinking about those items, but yeah, typically a rule like that is a very good starting place as long as it’s done with the understanding that it’s not a perfect rule and never will be. 36:08 Jonathan Bailey: Gotta use the adverb. Let’s go. 36:10 Patrick O’Keefe: Yeah, not, “This is it.” And as I said, text is easy to me. I find text super easy. 36:31 Jonathan Bailey: Oh yes. 36:31 Patrick O’Keefe: Plagiarismtoday.com. People are really, really talking about fair use right now on YouTube, more than probably ever before. 36:37 Jonathan Bailey: Yeah, I agree. 36:38 Patrick O’Keefe: And there’s all these high profile channels jumping into the discussion, they’re doing videos about it, and it’s a really hot issue. Most communities, I wanna say, don’t host a lot of video content. There are communities who do, and there are communities based exclusively in video, and I think it’s tougher for them because it’s harder to edit video when it’s posted live. It’s harder to look at that video and say, “Okay, this person is talking and then they put this clip in there.” It’s a harder thing, but I think, even for video, and you can develop a system of things that are obviously wrong, right? “Here’s the obvious things that are wrong. Whenever we see these, please remove it. Okay. Here are the things that are obviously right. Whenever we see these, we know we should allow it.” And the same is true for photos, but then there’s this gray area where you exercise some discretion in how you apply those four factors, and especially, as you said, the first and fourth. 37:22 Jonathan Bailey: One of the interesting problems with fair use, and you mentioned video, is of course a lot of this video content ends up being hosted on YouTube, and YouTube has its own completely separate set of rules from anything we mentioned in the law as to what is and is not allowed on YouTube, and what will be flagged as being copyright infringing or using third party materials, etcetera. It has nothing to do with the law. So you have two sets of rules you have to contend with, you have both the law and YouTube’s rules at the same time, so that throws a nice big monkey wrench into it. But yeah, and that’s… And you hit the nail on the head with the problem with fair use in general is that there is both very clear fair uses and very clear not fair uses, and everything in between, people will fight endlessly over. And there’s plenty of content in that area, including plenty of what’s posted in forums. 38:14 Jonathan Bailey: Yeah. Well, I hope so, I hope so. 38:16 Patrick O’Keefe: That’s an obvious wrong. They can’t just broadcast the Super Bowl on their channel, they can’t turn a camera toward the TV. But if they’re focused and they’re doing something and it’s on behind, and not even behind them, but just the sound, a little bit of sound comes in, right? That’s that sort of area where it’s like, “Well, I guess they could listen to the Super Bowl over this person talking or behind this person talking, but is it really… Should we delete the video for this? Should we shut down the stream or delete the channel for this?” Those are the sort of kind of more complex issues that arise. 38:45 Jonathan Bailey: And even though this really shouldn’t factor into decisions that forums and communities make, one thing that does have to be considered is who is the rights holder and how aggressive are they? The NFL, Disney, these are way aggressive groups. They’re gonna come down on you way harder than Nostalgia Critic or something like that. You do have to factor that in a little bit because even if you believe it’s a fair use, if the NFL comes knocking with DMCA take-down notices, are you really in a position to fight them? And the answer is probably no. 39:15 Patrick O’Keefe: No, probably not. Let’s talk about come knocking for a moment. So you receive notices, right? And part of the DMCA is the notice and take-down system. So we’ve talked about how to qualify for the safe harbor, so you actually are protected legally and you have to reply to notices. So you receive a notice, the notice might be legit or you might look at it and say, “This seems bogus. This is not right.” What is the general advice for publishers how to handle that notice? Do they simply take it down because they have to, they have to preserve the safe harbor? I know some companies are coming out and challenging that now, most notably WordPress or Automattic, more specifically WordPress.com, but I feel like everyone will be pressured to take it down because that’s how it’s structured, right? 40:10 Patrick O’Keefe: Right. And you’re testifying to that fact, legally speaking. You’re under penalty in that, the penalties are rarely held to anyone, let’s say, but they have been. 40:17 Jonathan Bailey: Yeah, they have. 40:18 Patrick O’Keefe: They are once in awhile. 40:19 Jonathan Bailey: And so, you’re making that declaration. The host takes it down. The person who uploaded it then has the ability to file what is known as a counter notice, and that counter notice basically says all the opposite things that the DMCA notice filed. And if that notice is filed, and the original person who filed the DMCA notice, the original rights holder, does not sue and get an injunction, then the work can be restored. And so, what I typically advise hosts is if you want to sit there and filter out bad DMCA notices, you can do that and fight them, and the company like Automattic certainly has the legal resources to do that and that is their decision. But for smaller communities, one of the best things you can do is if you were skeptical that a notice is legitimate, you can say, “Okay, I have to take this down,” but you can file a counter notice and we can restore it in so many days. 41:10 Patrick O’Keefe: Right. So you can actually tell the user whose content it affects. Now, how far can you go in that? Can you actually tell them, “I think you should do that,” or would that be verging on legal responsibility to offer them advice? 41:21 Jonathan Bailey: I would not tell them they should do that, yeah, because that could, like you say, constitute legal advice. And you don’t really know what they did or did not do, you don’t necessarily know the full story here. So I would definitely say not. But you could provide… Google, for example, provides information on how to file a counter notice if you wish. So let them know that option is there, let them know that if they feel it’s not infringing, that they can do so, and then process that counter notice in the same way you process the DMCA notice. And that way, the legal risk is not being borne by you as the community, it’s being borne on that user. 41:51 Patrick O’Keefe: Right, because a lot of people don’t understand this when they get their first notice, both users getting their content taken down by someone that they contributed to, a community they contributed to, or the community itself is that you received that report, yes, you pull it down, but the counter notice works the same way. You get the counter notice, it goes up, and then what happens? 42:10 Jonathan Bailey: Well, like I said, once the counter notice is filed, there’s basically a two week… It’s supposed to be, I think, 10 working days, but it’s actually 14 human days usually, period where there’s a waiting period where the original person with all the DMCA notices on notice that a counter notice has been filed, they had that time to go to court, to file an injunction, or do whatever they want. And if they don’t do anything, then at the end of that waiting period, the work can be restored. 42:35 Patrick O’Keefe: And if they went to court, they could be going to court against the person who hosted the content, not the community. That’s where the safe harbor comes in: By participating in the game, by playing this process all the way out, you are insuring your safe harbor. 42:47 Jonathan Bailey: You are completely removed from it. 42:49 Patrick O’Keefe: If you get involved in any way in this process, for example, if you say, “This isn’t a proper notice. We’re gonna turn you away,” or you advise the user to do it maybe, or you get involved, your opinion enters the process more than, “Take down, put up,” then you risk becoming liable for the copyright infringement. 43:14 Patrick O’Keefe: Yeah, they’re big ones. 43:14 Jonathan Bailey: Yeah, they’re big ones, and if you’re gonna do it, you better be very darn sure you’re right. 43:19 Patrick O’Keefe: Yeah, and it’s worth pointing out, I don’t know how you feel about this, but if you ever get a DMCA notice filed improperly against you or, in some cases, your community, there’s nothing that would prevent you from publicizing that fact. 43:29 Jonathan Bailey: No, absolutely not. 43:30 Patrick O’Keefe: There’s nothing that would prevent you from contacting the media, announcing that you’ve received this notice, submitting it to one of the organizations that publishes DMCA notices like Chilling Effects and like some other ones. There’s nothing against making people aware of this so that the tide of public opinion will turn against the person filing it. 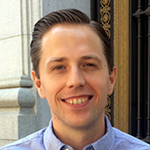 43:46 Jonathan Bailey: And for the record, Chilling Effects is actually… It’s a database of DMCA notices, and it has actually changed names, it’s now the LUMEN database, L-U-M-E-N. So just a heads up for anyone who’s interested. 43:58 Patrick O’Keefe: Yeah, thanks. You don’t have a problem with that, right? There’s nothing that stops you. In fact, that should be publicized, right? DMCA abuse should be publicized. 44:04 Jonathan Bailey: If it’s true DMCA abuse, absolutely. 44:06 Patrick O’Keefe: If it’s true, yeah. 44:07 Jonathan Bailey: But one of the things that the LUMEN database does do, that it’s very careful removing personal contact information, signatures, and all that too. Obviously don’t post [chuckle] your personal information all over the internet, be smart about it. But yeah, there’s nothing stopping you from saying that this work was removed by a DMCA take-down notice. Look at what YouTube does, every time a video comes down due to a copyright claim, “This video was removed by a copyright claim by so and so.” That’s perfectly fine, there’s no reason you can’t or shouldn’t do that. 44:34 Patrick O’Keefe: How can we use the DMCA or other means to protect community contributions from being taken and republished elsewhere without permission? 44:42 Jonathan Bailey: Well, the easiest way is… Obviously if you’re the administrator of a community, you’re probably posting to it too. You’re probably involved some way publicly with this group. You have the copyright in that and if you see someone scraping the entirety of your forum, you can go and file a DMCA notice on your content. Also, you can have many of your users designate you as a DMCA agent. Again, it’s weird, DMCA agent means two different things under the law; as an agent authorized to act on their behalf in filing a DMCA notice. So the DMCA notice does not have to be filed by the copyright holder, but it has to be at least filed by someone authorized to act on them and you can get that authorization and do so. 45:21 Patrick O’Keefe: Right. And so, it’s just as simple as saying, “Hey,” you go to your top five users, let’s say, that have made maybe 50,000 posts and you say, “Hey, this community is scraping your posts, what do you think about that? I find it inappropriate. If you find it inappropriate, I can file a notice on your behalf and we can get that taken down. But only if you want to, if you wanna designate me as your DMCA agent.” And then if you receive that confirmation, I’m guessing email is good enough, some sort of text means is good enough, and then you can file that notice and it just applies to that content. But the fact of the matter is, if someone scrapes a community, let’s say, of five million contributions, and you get members that represent, say, even 50,000, 25,000, instead of just deleting those 25,000 and going into the database and finding a way to do that, however they’ve scraped it, because it’s probably a mess, right? They can’t identify individual contributions most likely, they’ll just pull the whole thing down, or, at the very least, whatever they have will be devalued. 46:13 Jonathan Bailey: And it’s also worth noting, remember we talked about repeat infringer policies. 46:18 Jonathan Bailey: That many DMCA notices being filed makes it likely the repeat infringer, they probably… The entire site shut down by their host. Both angles, that works too. 46:26 Patrick O’Keefe: Yeah. So it’s important to know that the DMCA isn’t just this bad thing that people will use to get things removed from your community. It is helpful to us in a couple of ways, the way we just discussed, we protect your work, the work you create as an individual, the work you create on behalf of your company. It can also protect the work that your members contribute. But the bigger way is that it can provide you with safe harbor to insulate you from liability should people who participate in your community commit copyright infringement on it. 46:57 Patrick O’Keefe: Jonathan, it’s been a lot of fun talking to you today. 47:00 Jonathan Bailey: Who knew copyright could be so fun? 47:03 Jonathan Bailey: I try. 47:04 Patrick O’Keefe: And sharing some really good, practical advice with us. 47:06 Jonathan Bailey: Happy to help and happy to be here. You’ve got a great podcast going, I’m looking forward to the next episode already. 47:11 Patrick O’Keefe: Oh, I’ll tell you, this won’t be the final one of this one. So [chuckle] we made it, like the last one you did with me on the other community show, that was the last episode. 47:17 Jonathan Bailey: That’s right, I forgot about that. 47:19 Patrick O’Keefe: I wanted to explain that, like the last podcast, that was it, after I had you on, but that will not be the case here. 47:24 Jonathan Bailey: I am the curse of Patrick’s podcast. No. I’m pretty sure you have someone lined up after this and God speed, I think it’s going great, and you’re putting on some high quality stuff here, man. Great, great, great work. 47:36 Patrick O’Keefe: Thank you, I’ve been talking with Jonathan Bailey, he’s the author of Plagiarism Today at plagiarismtoday.com, and a copyright and plagiarism consultant at CopyByte, C-O-P-Y B-Y-T-E.com. This has been Community Signal, visit our website at communitysignal.com for subscription options and more. Community Signal is produced by Karn Broad and I’m Patrick O’Keefe, we’ll see you next time.